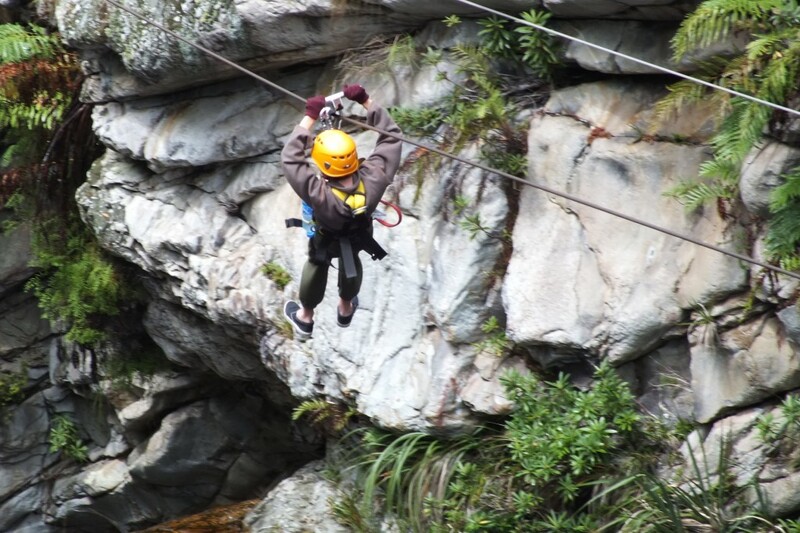 After the Storms River Forest Canopy Tour, the adrenaline junkies in us were awoken and we headed off for another ziplining experience a few days later, this time across the waterfalls. 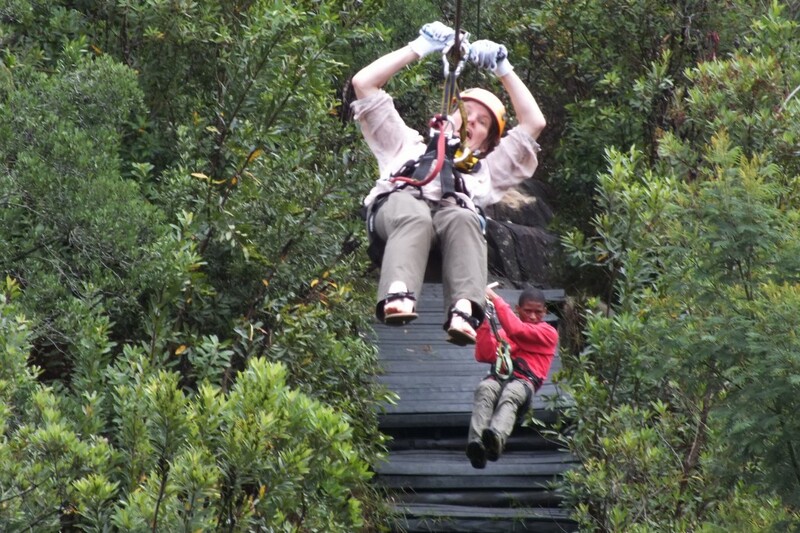 It was as different as two ziplining experiences can be. The forest was dark and close, the waterfalls were wide open to the sky. Although both tours handle similar volumes, the forest tour is much slower and we were in a group of eight with the next group right behind us. 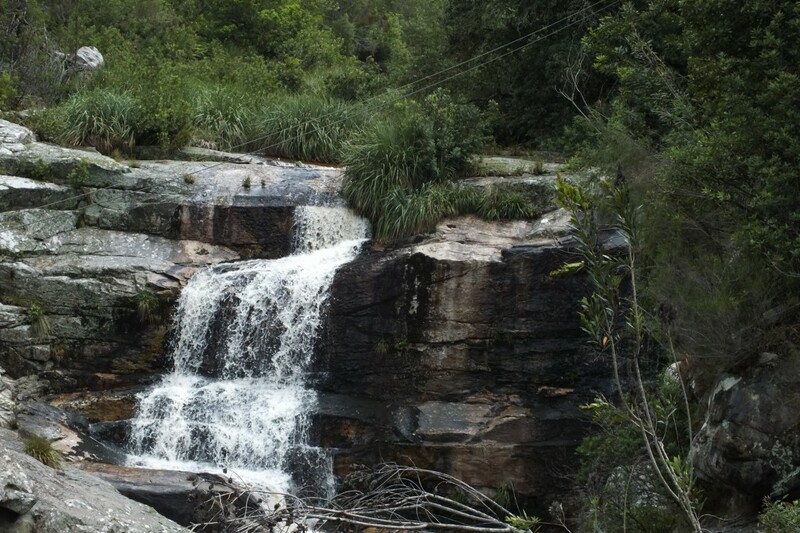 The waterfalls went much quicker, and was just us and the guides. The forest tour brake consisted of a wet glove, the waterfalls saw a proper brake with good control and consequently nice smooth landings. 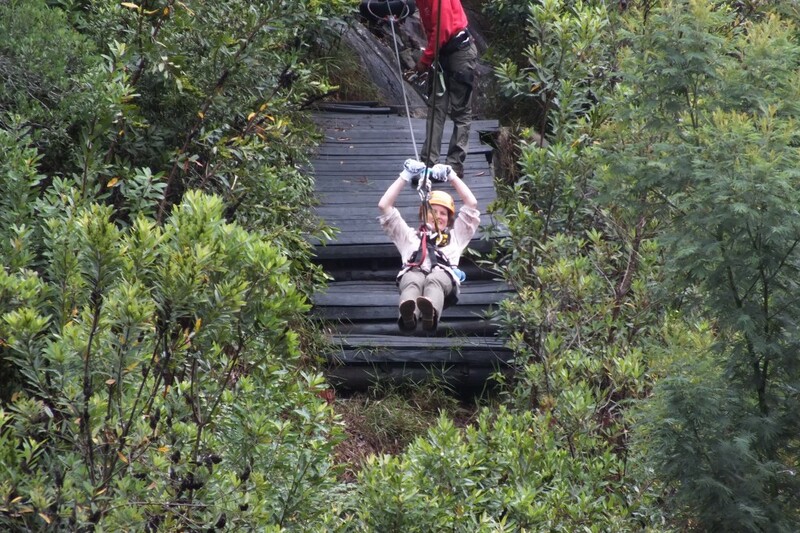 The slides were also much longer, the longest being 211 metres against the 91m of the forest tour. And, this time there was a only a mild drizzle, no lightning and thunder. For the safety conscious, the forest tour had us clipped twice onto a line capable of holding 10 tonnes, and clipped once more onto a secondary line capable of holding 7 tonnes. The waterfall tour saw us clipped just once onto the main line. Well, no, luckily not. But the guide behind jumped onto the cable while Anique was still going across, causing the line to gyrate wildly, and making her feel like the line had snapped. 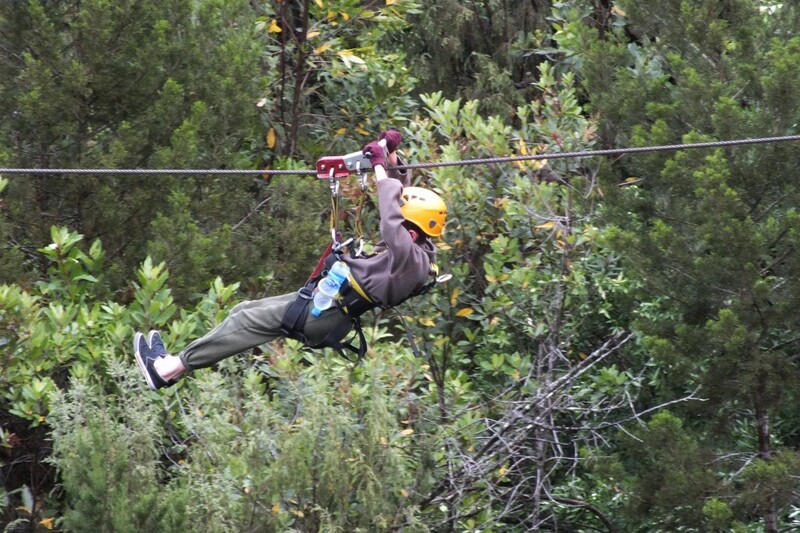 A bit of extra adrenaline rush thrown in for free. 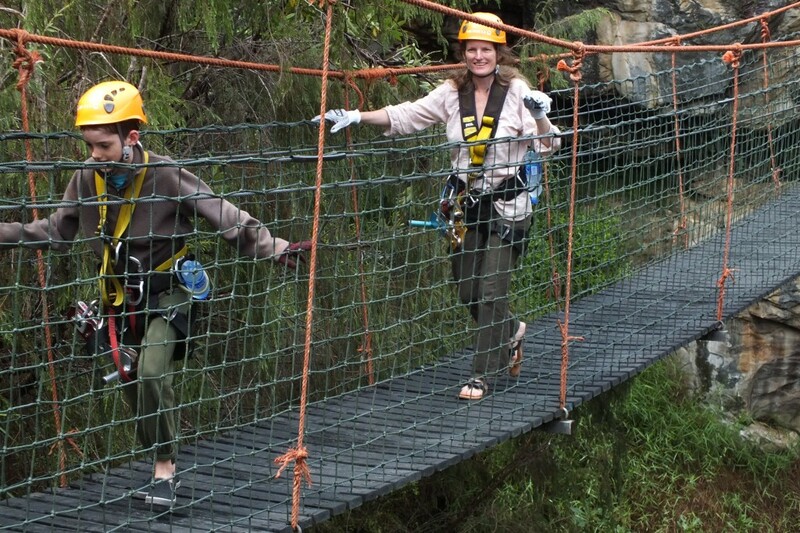 Overall, a fun way to spend our last morning in Storms River.